Our Sewing classroom is open for 2 hours (6P.M. to 8 P.M.) for Adult Drop-in help with sewing projects. 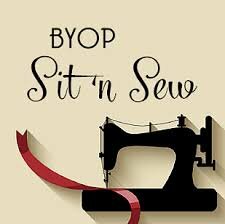 Come with your project and get expert help from our sewing instructor-Beckie Stratton. Learn tips and techniques for garment-making or sewing crafts. $20 per person (non-refundable to reserve your spot) or Drop-In as space allows max. class size of 5.